They eat aquatic insects, larvae, molluscs and crustaceans. They feed by wading briskly in shallow water, pecking from the surface or sometimes sweeping the bill from side to side. They may wade deeper and feel for prey. 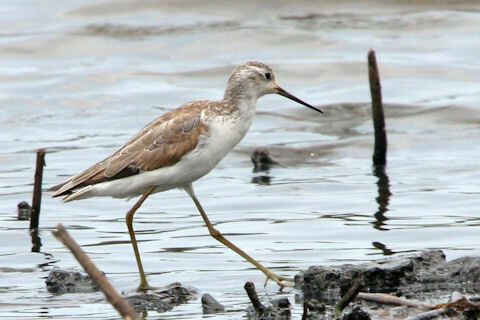 (Marsh Sandpiper - Birds in Backyards).